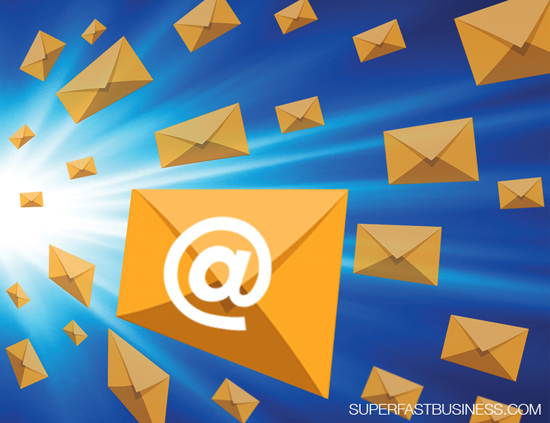 If you’re an Internet marketer, an email list is your most valuable asset. In the first of a 6-part Business Case Study Series, entrepreneurs James Schramko and Matthew Paulson talk about building a list of 250,000 and the email strategies used to make millions in revenue. 02:42 – Do you need an email list? 09:18 – What can you offer subscribers? 14:18 – How long to build such a large list? James: James Schramko here. Welcome to SuperFastBusiness.com. This is a business case study series with me and my special guest for this entire six-part series, Matthew Paulson. Matthew: Hey James, how are you? James: It’s good to be speaking again. We’ve already done a few episodes together. We did the AdSense episode, and we did the email subscription model episode, and we’ll link to both of those in the show notes. You and I have decided to put together a six-part series. We’ll be doing a kind of a mini-masterclass on some of the topics that aren’t commonly discussed because let’s face it, a lot of people don’t really have knowledge on it. We’ll be going through some amazing topics. Everything, from growing and monetizing emails lists, right through to how to plan, which projects to work on, selling a website, building revenue very quickly, name changing a business, and then we’re going to some deeper level monetization tips. Are you ready? Matthew: Absolutely. Let’s do this. James: So part one of our six-part series is how to grow and monetize an email list of 250,000 email subscribers. You have some significant experience in this. Your website MarketBeat.com has 250,000 email subscribers. You send out 10 million emails a month, and you’re doing revenue in the multiple millions. It’s very exciting that you’ve got this in play. Let’s see if we can find out how this works. Matthew: Absolutely. If you want to build an email list, you can’t just put an opt-in form on your website and say, hey, I’ve maxed it out. I think that’s a mistake people make. They put up the pop up form, they hook up the MailChimp, and they say, oh, I’m only getting 100 subscribers a month. That’s all I can possibly get. The reality is there are just so many different ways to get email opt ins that people neglect and don’t even think about, and many of them they don’t know about. So you can have a crappy form in your website to get email addresses, you might only be getting a couple of hundred a month, and you could just be leaving a lot of emails on the table and in turn, leaving a lot of revenue on a table as well. James: Let’s just talk about for a second here why we’re building emails, because I think still some people are overlooking this whole concept of actually building an email list. Let’s go right back to square one. Why did you decide to build the email list? Matthew: Sure. So if I have somebody’s email address, I can get in touch with them at any point in the future. So if Google slaps me in any way, and sends me no more traffic in the future, I can still make money because I can always email my list and sell them something. Having somebody’s email address is permission to send them content and sell them stuff. So if somebody’s on my email list, I can make money off them even if everything else goes to hell in my business. There’s always the opportunity to sell them something new. James: So it’s more or less an asset. James: And it’s a very powerful communication channel. Matthew: Yeah. I know that every email that I get in my list is worth about $7 to me. You’re not going to get an ad click that’s $7. So if you can get as many as possible, that’s just good revenue. James: Exactly. And when you say $7, you mean forever, or per year, or how do you measure that? Matthew: Lifetime. So it’s between the advertising revenue that an email I just would regenerate and then paid subscriptions as well. So I’ve done all the math to figure that out, and I know I can pay anywhere up to 7 bucks and I used to pay 2 or 3 bucks to buy email address and URI. It’s pretty good, and you know, doing advertising to get emails. James: It’s really interesting. Like through this series, we’ll be sharing some reflections from your experience and sometimes from mine as well. In your case, you have 10 times more emails than I do. You have 250,000, I have about 25,000. My email subscribers are worth $100 per email, per year. So my value amazingly is almost 10 times more. So it’s really interesting, by the way, almost exactly the same revenue, and I’m sending about 10 times less emails per month. So isn’t it interesting how you can find different levels? So that gives someone a scale they might work towards. You’re going to have a high yield small list, you’re going to have a lower yield high list, but the numbers will sort of factor out. You could probably have a high yield high list if you’d get things right and stack a few ideas together. I’m sure you can have a high list with a very low yield as well. That’s probably the norm in the Internet marketing space. I know people have lists of 500,000 or 600,000 emails but they barely get someone to open it and they get decimated in any kind of affiliate competition by people with tiny lists with the huge punching weight. So it would be really interesting to reflect on how this works. In terms of what, we’re talking about you having email subscribers in some kind of database. Is that right? Matthew: That’s correct. We do some very specialized stuff with our email list so we can’t use MailChimp or anything like that. So we just have a sequel database and then we do our inward delivery through SendGrid but it’s pretty much the same idea as MailChimp, or Aweber or any of those things. James: All right. So we’re going to put the geek alarm on there, sequel database. That means you basically have a custom program. Matthew: Yeah, everybody gets a different newsletter, so it’s not like we could just send out one newsletter to everybody because everybody gets a customized version of it. James: Do you think what you’ve created is quite complex and would be hard to replicate? Matthew: I think so because there’s a lot of different pieces that go into it. There is the customer acquisition, the lead generation part, there is the product development and sales part, there’s the email marketing part. There are other people that have tried to copy parts of my business but they don’t see the whole thing. So they can never really get close to what I’m doing. James: Exactly. So the idea of a podcast like this is we’re going to peek behind the curtains, see what’s happening, not so that someone can rip you off, but so we can get some perspective. Certainly, if you want an off the shelf email system, the type that I use, then you could easily do the sort of things that I’m doing because my systems are almost completely off the shelf. So you’ve got the scale of instantly available through to very hard to replicate and complex, which is sort of the fun thing to talk about, the differences. Let’s talk about how people get on to your email list. We should probably cover some of the obvious points where people would enter your email list and what sort of promise you’re making for them and the process that you go through. Matthew: Yeah. So obviously website opt ins are going to be just about everybody’s biggest source of new emails. I think I see a lot of people doing this wrong. People like you and me in the Internet marketing space, people that are technology focused, we hate advertising, we hate things that are pop ups, we think they’re intrusive so we just don’t do them. So you might want to put like a sidebar opt-in form on your website or you put something below the post. But you know, you’re really leaving a lot of opt-in forms, a lot of opt-ins on the table by doing that. If you don’t have an opt in form that people see right away, most people are just going to miss it. I think if you have scruples about not having a pop up because you think it’s annoying or not having a welcome gate or anything like that, just shut up about it for a week and try it and see if you like the results before you say no to that. James: Right. So what are you saying is the shortcut. Someone starting out fresh, they got a blog, haven’t really thought too much about emails, what would be your first move? Matthew: So the two keys are to have an opt-in form that’s visible. So just go ahead and do an entry pop up and then do an opt in form right below your post. So after somebody’s done reading the post, they’re going to want something to do next. Give them an opt-in form right there to get their email address. James: Fantastic. Yeah, we’ve done comprehensive testing for our sites in our sort of market, and we found that having an opt in on the footer wasn’t very good. But above the option menu works really well. We’ve also had very good stuff when we’ve put in in-content links like get the transcription, very relevant, high opt-in rates. We’re using things like Leadboxes for that. Very, very effective. Matthew: Yeah. And it’s going to vary on your industry and what your template looks like. What works for me is not going to be what works for James, and what works for James might not be what works for you. So it’s really something you’ve got to try. But when you get started, a lot of people have had success with an entry pop up so just do that. And then below the post is a place to start to try to and you will find out the stuff that work well. So start with that best practice and try other stuff to see if something else works better. James: And on my site, I take into factor things like that 65% of the people are repeat visits. So I’ve got this bar at the top, like a hello bar, but it’s a custom coding on our site, and that gets a lot of opt ins. Just a red call to action, it’s there all the time. That’s one of the primary sources for people to get a course. We’ve talked about placement. What are you actually offering people? Matthew: Yeah. So our lead magnet is our free daily newsletter. Our freemium product, so we sell a free newsletter and we have a paid newsletter. Our lead magnet has always been the free newsletter. The key is just to make that, whatever your offer is, if it’s a video, an e-book, whatever, is just to make it relevant to the content on the page. So I know that if somebody is reading an article about Bank of America the company, I better mention that Bank of America in my pop up opt-in form for that page. So whatever you can do to make your lead magnet and the messaging of your pop up or whatever opt-in form you have to make it as close to your page as possible, you can be more likely to get opt-ins. James: It’s so true. The best opt-ins we have is our Leadboxes, which are to download the transcription PDF for the article. So it’s hyper-relevant because it’s exactly related to the article. My team have a simple standard operating procedure or SOP where they just replicate Leadbox. Everytime we put a new post, they create a brand new Leadbox that links people straight to that resource. So they opt in and they get sent the transcription PDF to their inbox. That process gets 80% opt ins. Anyone who clicks on that Leadbox, 70-something, 80-something percent, will actually enter their email address. Using a bit of technology, you can pre-populate those fields if they’re already known to us, it’ll put their email address in there from the screen, which is fantastic. So it’s about reducing friction and making it easy for people to opt in. Matthew: Absolutely. Yeah. I was just going to say that regardless of what your website is about, don’t just have one lead magnet. Have five or six and then show the right one based on the category of content in. So you might write about five or six different things and then a good pop up form script can show, you can specify, I want to show this lead magnet on this category in WordPress or this and this one, so you can have a few that are more targeted and relevant versus just having one for everybody. I think that is a pretty good game plan for people getting started. James: It’s a great suggestion. That’s why we have on our top opt-in is a general course, which will apply to everyone coming to my sites, like how to make more profit. I also have OwnTheRacecourse, which is a general course, and I have Wealthification, which is more the business category. Three separate general courses that people find through different paths. All of them have their own direct URL, where I can send people to what’s called a squeeze page, where there’s really no distractions. They’re also available as leadboxes in various parts of the site, and then we have our in-text leadboxes. So you know, just from both you and I, have five or six minimum different ways that people can give us their details. And of course, let’s talk from the technical perspective, when they do opt in, they’re not getting the same generic stuff straight out of the gate. I imagine that you have some kind of special sequencing, or tagging, or sequence that will apply to people depending on what they opted in to. Is that right? Matthew: Absolutely. That’s totally the way to do it now. You can’t just have one general autoresponder series. You need to have one based on the content they receive or the content they signed up for. You have to be very specific. Relevancy is the name of the game now, name of marketing. So if they sign up for something about website building niche, you get emails about website building. The more I guess granular you can get with that, the better. James: I agree. It’s relevancy and context. So a simple thing that we do that’s replicated, when someone opts in to a course, a multi-part delivered course, and by the way, just as an aside, I changed from a PDF guide or cheat sheet, which was 19 pages to a multi-part course because what I found was when I was scrubbing my email list, which is under the topic of list hygiene or culling non-responsives, a lot of people were opting in for a free report but never opening a single email after that, they were using throw away addresses, etc. But I found a multi-part sequentially delivered course implies future contact, and you could also tag in there and receive news. But what we do is we hold people out of our general broadcast until the course has been delivered in full and then we put them back into our main course. So I’m wondering if you do something similar to that. Matthew: Yeah, I tested that a while back to send the autoresponder series and then always send broadcast emails out after that. It didn’t work quite as well for us to have people wait, so we just cancelled that split test. Everybody who’s on the list, whether they signed up yesterday or 5 years ago, they’ll get any broadcast email we send out. We’ll kick people off if they haven’t opened anything in 6 months but otherwise, you’ll get the message. James: Right. So there you go. That’s a good example of different approaches getting results that work for the individual. First of all, the obvious question, to build such a big list, how long did that take you and how many visits are you getting to the site to enable that volume to be so high? Matthew: We started collecting opt-ins about four and a half years ago. A lot of that growth has been within the last 12 months just because we’ve really scaled up. The amount of traffic we get, the amount of content we produce, we scaled up our advertising tip by email addresses or by leads. So right now, let me look at my numbers, it’s coming up quick. In the last 90 days, we’ve had about 60,000 organic opt ins and we’ve also bought another 30,000 paid opt ins. James: Sure. And where are you primarily buying opt ins from? Matthew: So we do co-registration advertising. Are you familiar with that James? James: I am. It’s where you sign up for something and then there’s like a thank you page with a list of other things you can tick a box to receive information for. Matthew: Yup. So there are a few companies that do this. It’s big in the finance investing space and it’s really easy to buy those. Like in the Internet marketing space, I know Tim Burke offers, he does co-registration for that industry. I don’t know if you know that but he does. So I know that you could buy lead for like a dollar in the Internet marketing space from Tim through his partner websites, through co-registration advertising. So we do that. We buy them from some big name websites like thestreet.com, Jim Cramer’s website, and much of other well-known financial places. You’re probably see an ad from Market Beat if you ever go to a big name finance site and you see a co-reg ad, you’ll probably see our unit there. So we can spend $2 to $3 for an email address and make $7 or so over the course of a year and half. So that’s a pretty good ROI under the advertising spend, in my opinion. James: Exactly. And I’m certain if I started buying co-registration leads that my $100 per customer is going to be blown out of the water just because of the smaller, concentrated, organic approach I’ve taken when you start having paid traffic, you really got to know your numbers, which you clearly do. A lot of marketers don’t. Matthew: Is there a reason that you haven’t done co-registration advertising yet? James: There is. There is a reason I haven’t done it. But it’s not something that would stop anyone else from doing it. It’s a different reason altogether. But certainly in the past, I’ve tried every possible paid traffic method, including like Ezine inserts, etc., and I’ve found many of them to be effective. Matthew: What are some of them that worked well for you? James: Basically, putting an inline ad in an email magazine, like for Allan Gardyne’s email system. That worked well. I’ve had ones where I take forum ads and sponsorships in private communities. I’ve used forum signature links. I’ve done Ezine articles. I’ve done U.S. free ads back in the day. I’ve done all types of paid things, from seven search through to AdWords and Facebook, even if it was brand new. I was one of the first people advertising on there. more on the way ! We plan to do 6 of these. The first two are recorded already and we’ll be recording two more tomorrow night! I’m in for the series – awesome! My CTA for this one is optimize my Thank You page…Again. Haven’t visited it in a while.